Learn how to create braided hairstyles easily in just a few steps, so that the task of adjusting your hair to your face shape or in the style that you want isn’t such a difficult one. Who doesn’t love to try their hair in new hairstyles? 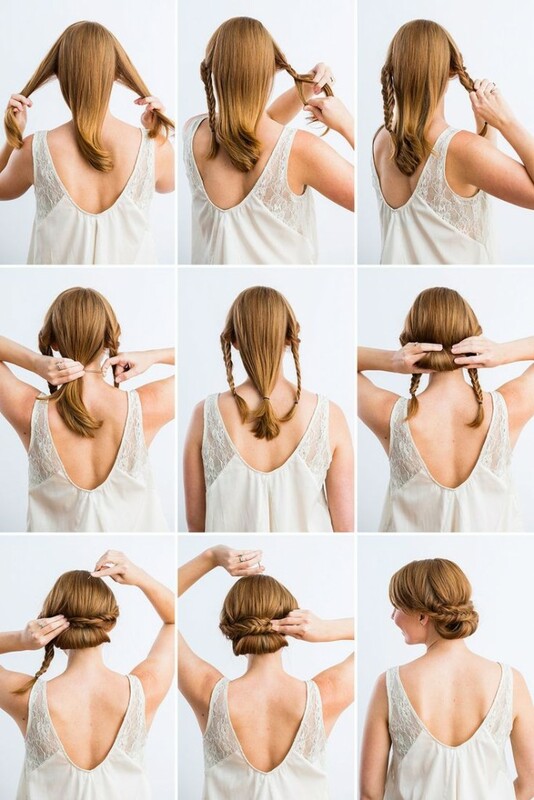 There are many types of braids that you can use for this purpose and style your hair in different ways. Whether wearing them or admiring them, braids are an element of women’s hairstyles that have been used since ancient times. They are versatile, since you can do many types of braids with your hair and all look really spectacular. From a French braid to a fishtail braid, passing ribbons through the braid or braiding the braids themselves, whatever the case may be, you can use them all for elegant events, a casual everyday look, to make your hair more practical while you go about your daily business, for work… in short, for any event, braided hairstyles will always be an essential element of beauty for hair which will make you look fresh and youthful. The 2015 trends in braided hairstyles are vast and varied. Right now it looks like braids will practically never go out of style, and you can increasingly see how you can play with this form of art for your hair in a thousand and one ways. 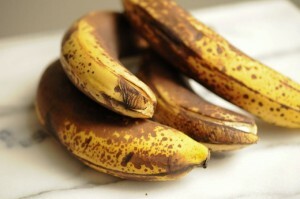 They aren’t just a trend along with haircuts these days, since you’ll see them everywhere and in many ways. You can see them with a very bohemian vibe in braided styles which, although this is essentially what a braid evokes, you’ll also see more sophisticated styles and other more casual ones. Fashion right now is really based in self-sufficiency even when it comes to beauty, which is why we have 12 current trends in braided hairstyles. This hairstyle uses a soft and simple French braid with a single weave that starts on one side and ends on the other, culminating in a messy ponytail. Don’t forget to tease the hair at the top of the head to give the hairstyle volume and shape so it turns out really bohemian and casual for any type of event. This is also a single, simple braid, it’s a French braid that starts at the top and goes down to form a spiral. 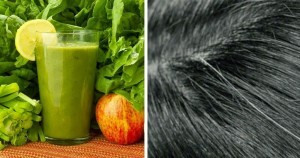 When finished, you can open up the strands a bit to give it volume and oomph. 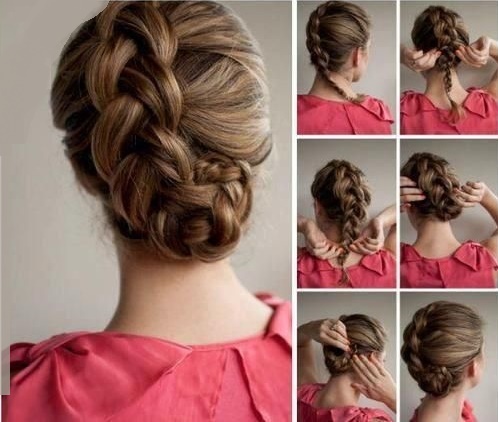 This is a hairstyle that you can use for casual or formal events. It involves two fishtail braids on the sides that sit on top of a twist on the bottom. You can adorn it with flowers or a jeweled barrette. 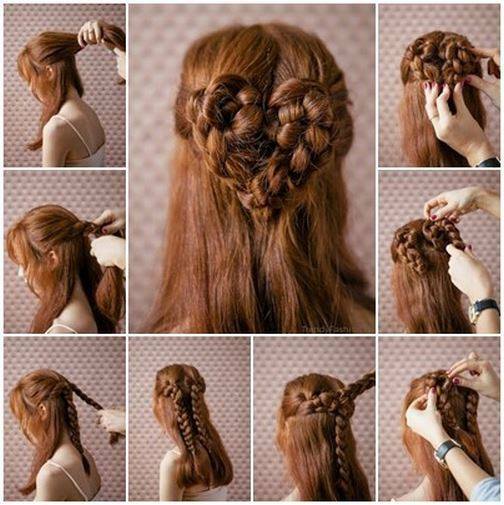 An excellent and creative hairstyle based on two simple woven braids shaped into a heart. 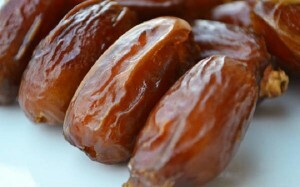 A novel and romantic idea. 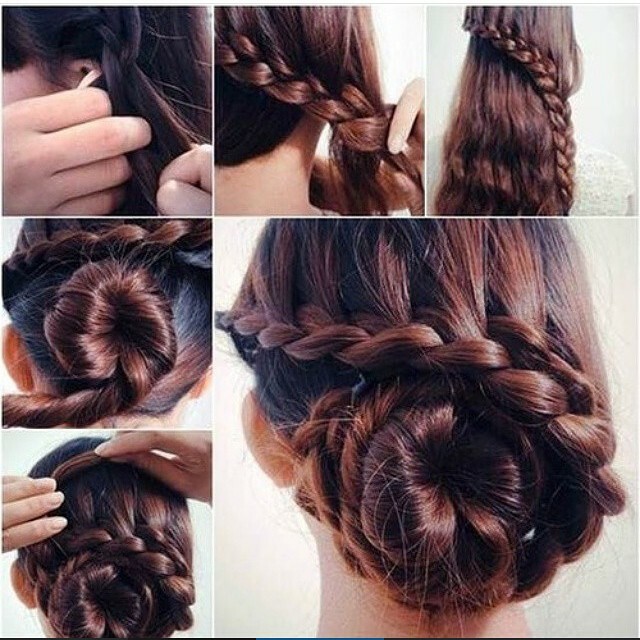 This is a French braid style woven in such a way that it can later be wrapped around a bun to make a twisted bun. 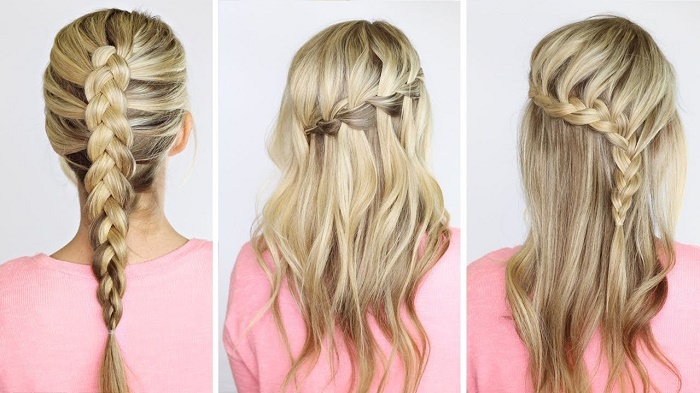 A beautiful hairstyle that’s not hard to do and looks fantastic. 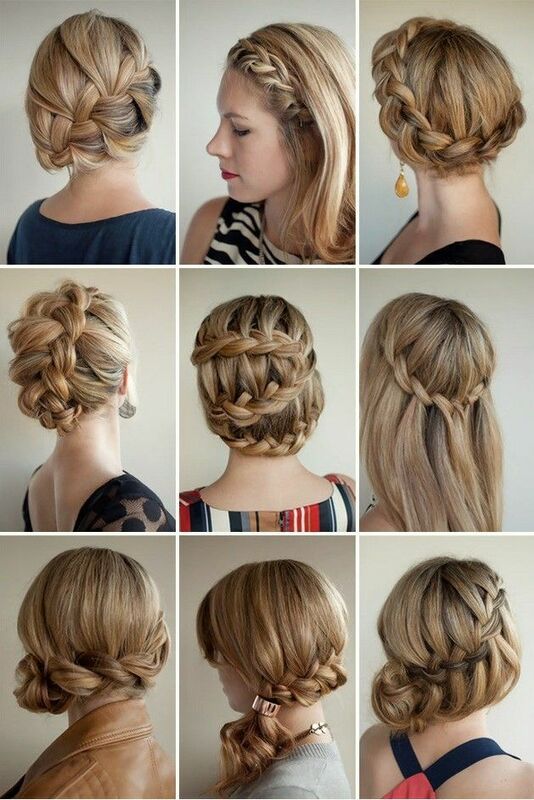 These are a few ways that a French braid can be woven in different ways. With practice, in less than 3 minutes you can have a sophisticated hairstyle for your event. French braid woven in the shape of a zigzag. Look how in each pass a different section of hair is added to form the crease. An excellent hairstyle that you can adorn with flowers. A hairstyle with French braids starting from the bottom and ending at the front with the ends crossing, making it look like a lovely tiara or crown. You can decorate it with flowers or other decorative hair accessories. This is a simple hairstyle that consists of 5 simple French braids that are wrapped to create a braided ponytail made of braids. You can decorate it with ribbon or flowers. 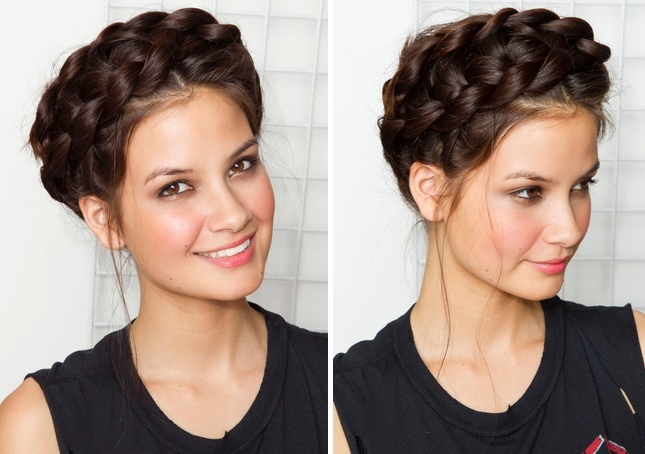 A classic French braid, and also woven in different ways over loose hair to give the style a different look. Simple braids wrapped at the bottom to form a decorative bun to which you can add novelty barrettes. This is a very well-executed hairstyle with French braids in different sections as you can see in the photo. Excellent for brides.